Anne block booked a series of 1-1 Tutorials for fresh direction for her website and her CSM – UAL Masters Degree in Photography application. Anne joined LAP for help in organising her artwork for a successful Masters Application. This included portfolio preparation, MA level research and the editing of her Masters Proposal and Application Statement. Sarah had studied a Degree in English and History of Art. Sarah joined LAP to develop her creative skills and build a strong portfolio for her transition to a Graphic Design career path. Sarah’s progress at LAP helped prepare her for her MA in Visual Communication at LCC – UAL which she graduated from in 2013. “My 6-week portfolio course with Julia was invaluable in helping me to create a portfolio that led to my successful application to LCC’s postgraduate diploma in graphic design. My time at London Art Portfolio also acted as the perfect bridge between my first degree (in English and History of Art) and my change of direction to art school. 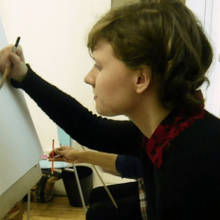 Having not done any art or design since A Level, Julia’s supportive approach helped build my confidence. In particular her help and advice in regards to building sketchbooks and displaying research has been helpful all through my postgraduate studies, where sketchbooks are an essential element, and has put me at a definite advantage to those less familiar with this way of working. Amy’s first Degree was in Printmaking from Winchester School of Art. When she joined LAP she was looking for a new direction in her life. Her aim was to apply for a Graphic Design Masters Degree in the USA that supported a Fine Art thinking. She was accepted by Otis College of Art and Design and California State University Northridge. Amy accepted the offer at Otis College of Art and Design and after graduating in 2012 she continues to live in LA. As a full time stylist for ‘House and Garden’ magazine, Marisa was often in charge of directing photoshoots for the ‘House and Garden’ magazine. This involved the selection and arrangement of textile designs, fabrics, surface print and wallpaper. 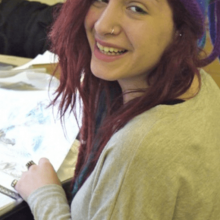 Marisa’s desire was to study to become a surface designers, to design her own patterns for fabrics and furnishings. 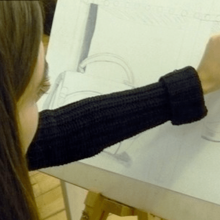 After attending LAP, Marisa was much more confident in exploring textile surface designs and in submitting an application for a Master Degree. Marisa was successful in gaining an MA in Fashion and Textiles place at the Sir John Cass Faculty of Art, London Metropolitan University that allowed her to continue working at ‘House and Garden’ magazine part-time. 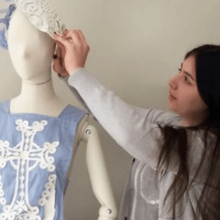 After studying Fashion Design in Brazil, Marcos was searching to extend his skills and learn new approaches in the UK before going on to study on a Textile Design MA.